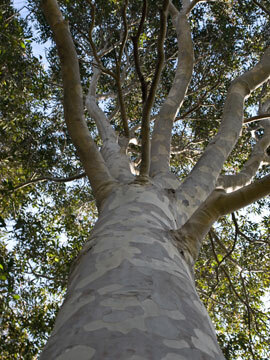 As it was in 2010 – these trees were home to thousands of small birds. The shadow shows that the trees were pruned 1-metre away from the wall of the building. 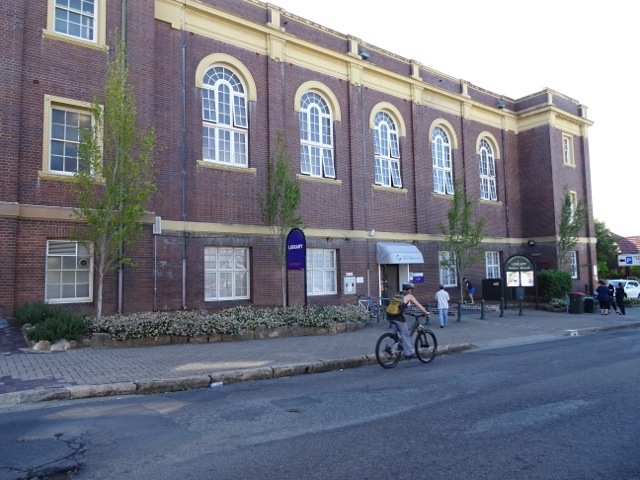 2015 – Marrickville Town Hall almost denuded of trees. And today – four new Poplar trees. 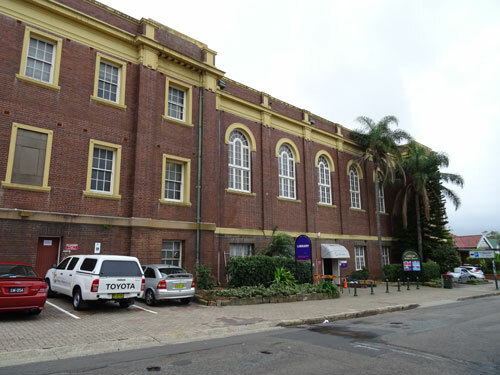 Last week I noticed that Marrickville Council had removed all the remaining trees alongside Marrickville Town Hall on the Petersham Road side. Today I drove past & saw that four advanced size Poplar trees have been planted in the garden beds. 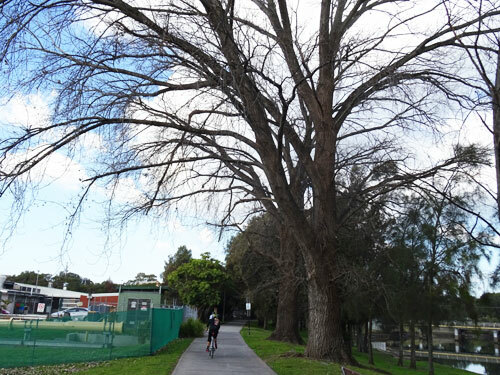 It is my understanding that Poplars were to be planted along Petersham Road as street trees, so perhaps the community will get lucky & get street trees as well. 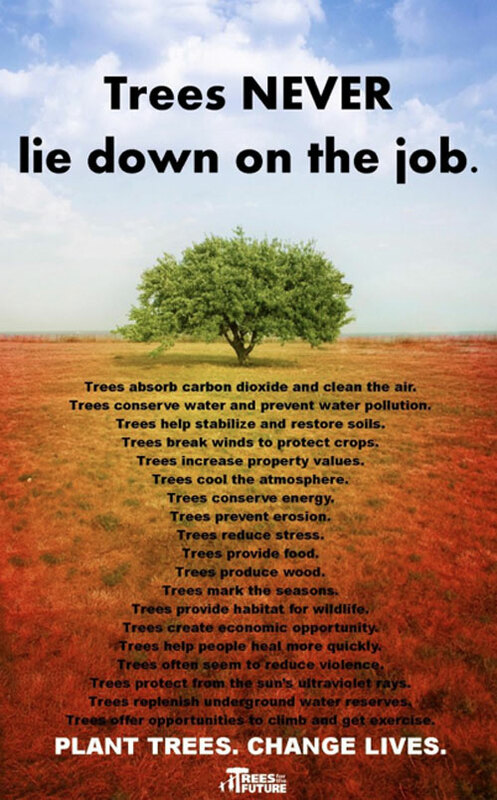 There is certainly room for more trees. 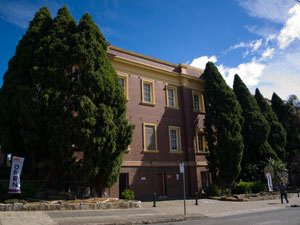 Camperdown Memorial Rest Park. 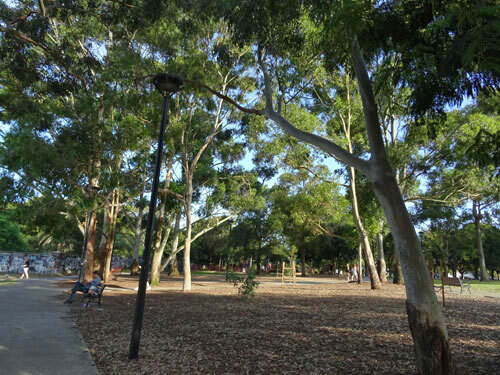 Lots of trees has transformed this park into a pleasant green space for locals. 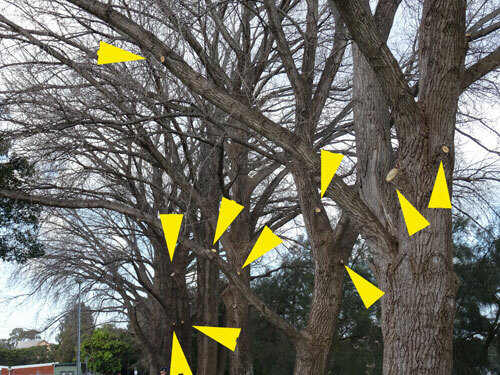 We were surprised to discover the City of Sydney’s plan to increase current canopy cover by 50 per cent could have a bigger impact on reducing air pollution than a reduction in traffic.” ~ Peter Irga lead researcher of a University of Technology Sydney study that shows the pollution reduction benefits of trees. Today, ‘The Economic Framework for Green Infrastructure,’ was released. The Framework is a joint effort by City of Melbourne, City of Banyule, City of Kingston, City of Moonee Valley & Victoria University in partnership with the Victorian Government. 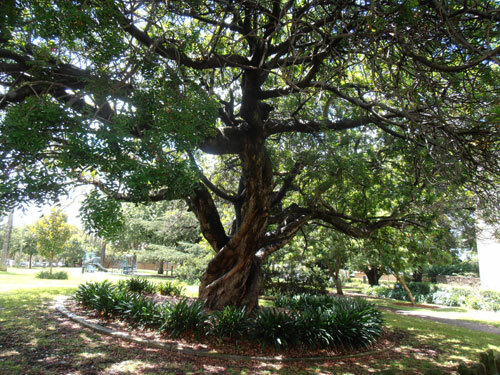 The document will help local councils put a dollar value on their urban greening activities. The evidence is becoming overwhelming. 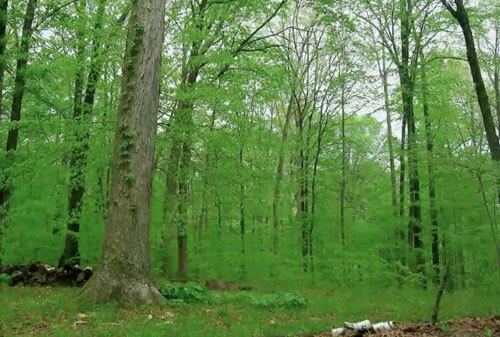 Trees, canopy cover & green space is vital for the health of the community. Without these things in sufficient amounts, people suffer from negative health effects such as depression. obesity, heart disease, respiratory disease & according to the University of Technology researchers, several types of cancer. Local councils need to increase their budget to allow for green infrastructure to be increased, maintained & built upon to increase livability, health & happiness. It’s hard to show the extend of the pruning in a photo, but the loss of the canopy is very noticeable when you stand on this path. 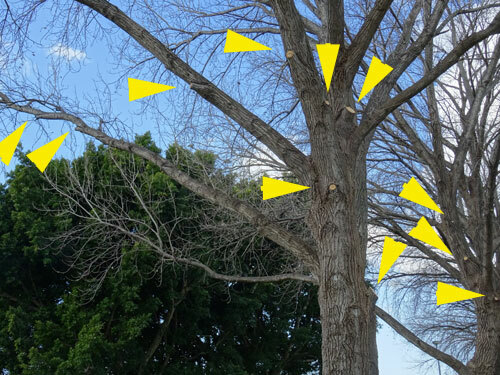 Showing some of the pruned branches that are visible in this photo. These are big trees and many of the branches that were pruned were of a large diameter. So today, with some trepidation I went down to the park to have a look. I could see the loss of canopy all the way from the entrance at Carrington Road & my heart fell. 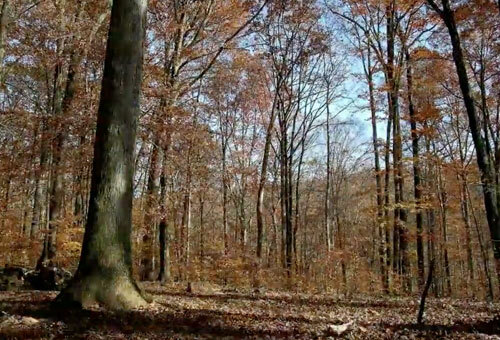 Let’s be clear, the trees don’t look bad, nor do they look butchered, but it does appear that around one third of their canopy has been removed. 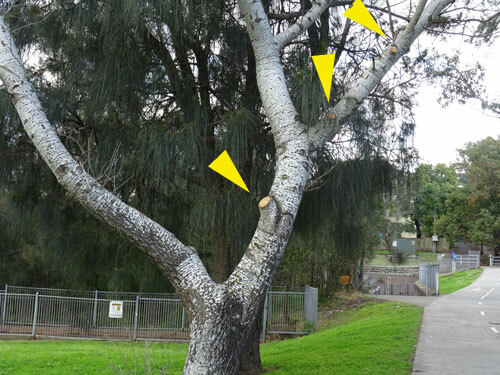 Two of the trees have a long side branch left behind. Denuded of other smaller branches, these look strangely empty. 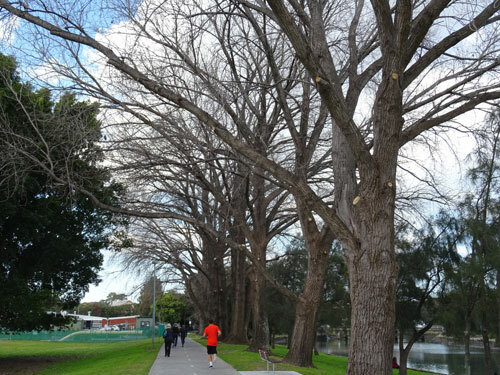 A Casuarina & another smaller Poplar of a different species has also been pruned. 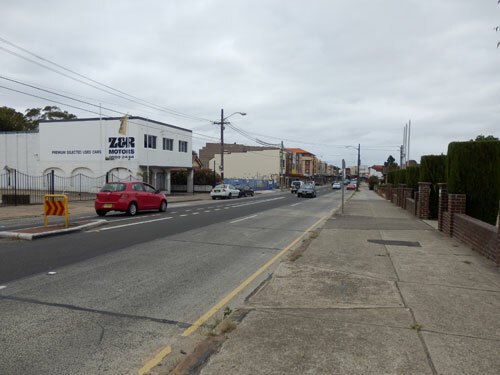 It looks like Marrickville Council wants to drive a triple-decker bus through here for some reason. Our beautiful Poplars are still beautiful, but they are not the trees that they were last week. It is a loss, but probably Council does not see it that way. 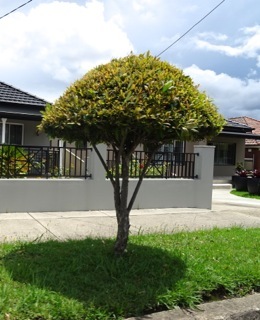 I am amazed that this small tree was pruned. Thankfully the two Poplars nearest the Concordia Club have not been pruned. If I could shout this I would. This is beautiful! Stunning! Extraordinary! Magnificent! Have I convinced you to go & watch? I hope so. Less than 3 minutes. A bit of fun…..This brilliant cartoon was sent to me. Sorry, I don’t know who created it, so can’t give them the credit they deserve. Click to enlarge. There is heaps of space for street trees along this stretch of New Canterbury Road & there are no overhead powelines. The streetscape looks so depressing to me. The research table showed that Sutherland Shire residents were the happiest in the Sydney region scoring 70%. The North Shore was not too far behind with 63%. While the researchers made a division for Sydney East & City, they did not do one for the Inner West – lumping us all together as Sydney West. We scored poorly on the happiness index with only 42%. Only 10% of the Sydney West group identified as totally happy, 3% were unsure & the remaining 87% said they were unhappy to varying degrees. It’s a huge area from the Inner West to Penrith, but remember, in 2010, Deakin University’s annual Australian Unity Wellbeing Index identified Marrickville as the unhappiest suburb in Australia. Unfortunately, the UMR-McKell Institute Sydney Confidence Monitor doesn’t say why people are suffering from unhappiness, so this absence allows me to bring in trees & green space, as these are known to influence levels of happiness along with income, housing, public transport, bike lanes etc. 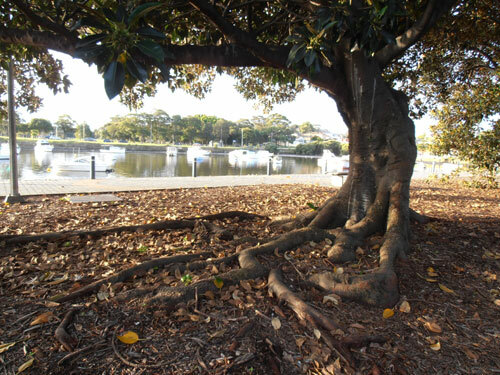 The North Shore Times said the following in their article about the research from the UMR-McKell Institute, “North Shore residents are some of Sydney’s happiest with new research ranking the leafy northside’s happiness score above the eastern suburbs, CBD & western Sydney.” http://bit.ly/VAWPe6 The bold is my emphasis as the newspaper included trees as a way to visually define the North Shore. There has been a bundle of research recently that clearly states trees, canopy cover & green space are fundamental for a physically, mentally & spiritually healthy community, so it does not surprise me that the North Shore would have higher levels of happiness. Marrickville municipality has the least green space in the whole of Australia. This must count towards also having the unhappiest community in Australia. Yes we have street trees, but their average height is only 5.2-metres & so shorter than other nearby municipalities. You just need to travel to Leichhardt to see this. If you think it is because they have wider roads & footpaths, you just need to look at Erskineville, Glebe or Balmain. These are very leafy suburbs with tall street trees. It can be done. It has been done. Some would say money brings happiness more than trees do. Disposable income does elevate satisfaction levels & make life easier, though the Deakin University Australian Unity Wellbeing Index Report 2012 said – “Happiness is bought at discount by people who are poor. For people with a household income <$25,000, an additional $6,000 buys an extra point of wellbeing. At a household income of $151-250K it requires an additional $333,333.” This tells me that money does not always bring happiness & you need more of it to keep levels of happiness going. The research by the Forestry Commission clearly showed that trees within our environment play a massive part in our happiness whatever our financial status. As such, priority should be given to green up our municipality by planting street trees & encouraging the community to plant a tree in their property if they have room. 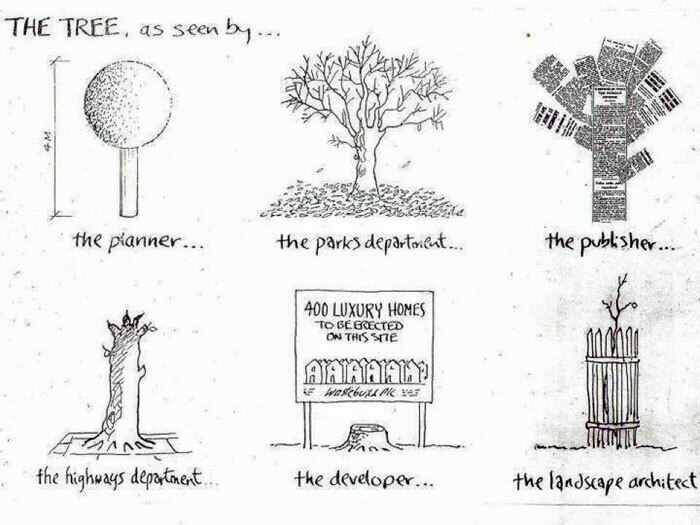 Where there is new development, they should be required to retain as many trees on site as possible as well as plant new trees, not just low level landscaping. 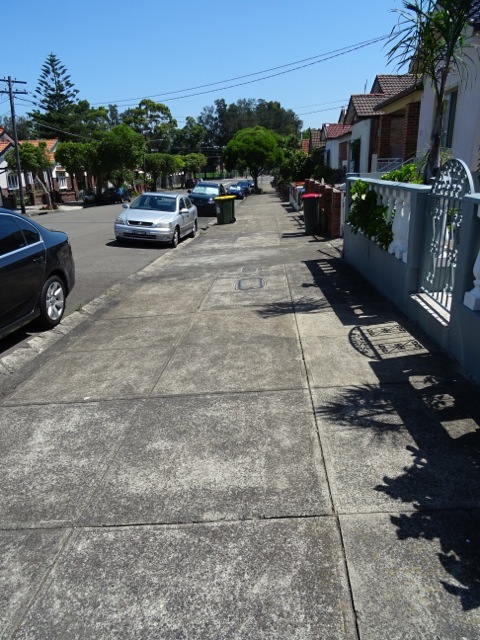 Council should be encouraging businesses that have street frontages with garden areas to plant these spaces as these areas have a major impact on the way an area looks. Scrappy, weedy areas do not do well with the human psyche & as such, do not contribute to a happy community. The opposite can be said of businesses that look after their properties by having a bit of green if they are able. 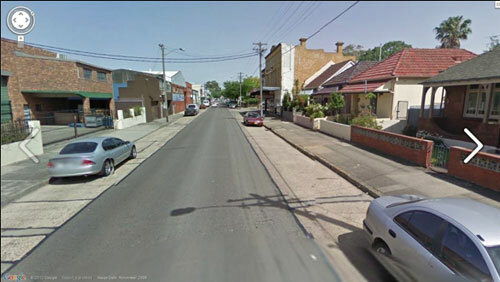 Google image of the eastern end of Addison Road Marrickville. Many people have told me that this streetscape depresses them. ‘Unchopping A Tree’ – written by W. S. Merwin. “Start with the leaves, the small twigs, and the nests that have been shaken, ripped, or broken off by the fall; these must be gathered and attached once again to their respective places. It is not arduous work, unless major limbs have been smashed or mutilated. If the fall was carefully and correctly planned, the chances of anything of the kind happening will have been reduced. Again, much depends upon the size, age, shape, and species of the tree. Still, you will be lucky if you can get through these stages without having to use machinery. Even in the best of circumstances it is a labor that will make you wish often that you had won the favor of the universe of ants, the empire of mice, or at least a local tribe of squirrels, and could enlist their labors and their talents. But no, they leave you to it. They have learned, with time. This is men’s work. It goes without saying that if the tree was hollow in whole or in part, and contained old nests of bird or mammal or insect, or hoards of nuts or such structures as wasps or bees build for their survival, the contents will have to repaired where necessary, and reassembled, insofar as possible, in their original order, including the shells of nuts already opened. With spider’s webs you must simply do the best you can. We do not have the spider’s weaving equipment, nor any substitute for the leaf’s living bond with its point of attachment and nourishment. It is even harder to simulate the latter when the leaves have once become dry – as they are bound to do, for this is not the labor of a moment. Also it hardly needs saying that this the time for repairing any neighboring trees or bushes or other growth that might have been damaged by the fall. The same rules apply. Where neighboring tree were of the same species it is difficult not to waste time conveying a detached leaf back to the wrong tree. Practice, practice. Put your hope in that. Now the tackle must be put into place, or the scaffolding, depending on the surroundings and the dimension of the tree. It is ticklish work. Almost always it involves, in itself, further damage to the area, which will have to be corrected later. But, as you’ve heard, it can’t be helped. And care now is likely to save you considerable trouble later. Be careful to grind nothing into the ground. At last the time comes for the erecting of the trunk. By now it will scarcely be necessary to remind you of the delicacy of this huge skeleton. Every motion of the tackle, every slightly upward heave of the trunk, the branches, their elaborately reassembled panoply of leaves (now dead) will draw from you an involuntary gasp. You will watch for a lead or a twig to be snapped off yet again. You will listen for the nuts to shift in the hollow limb and you will hear whether they are indeed falling into place or are spilling in disorder — in which case, or in the event of anything else of the kind – operations will have to cease, of course, while you correct the matter. The raising itself is no small enterprise, from the moment when the chains tighten around the old bandages until the boles hands vertical above the stump, splinter above splinter. How the final straightening of the splinters themselves can take place (the preliminary work is best done while the wood is still green and soft, but at times when the splinters are not badly twisted most of the straightening is left until now, when the torn ends are face to face with each other). When the splinters are perfectly complementary the appropriate fixative is applied. Again we have no duplicate of the original substance. Ours is extremely strong, but it is rigid. It is limited to surfaces, and there is no play in it. 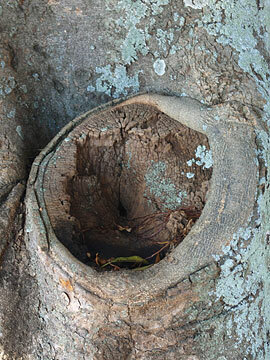 However the core is not the part of the trunk that conducted life from the roots up to the branches and back again. It was relatively inert. The fixative for this part is not the same as the one for the outer layers and the bark, and if either of these is involved in the splintered sections they must receive applications of the appropriate adhesives. 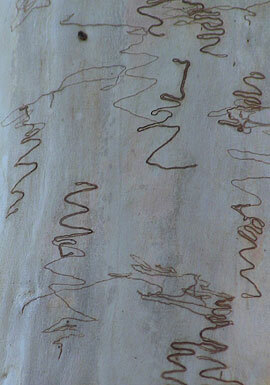 Apart from being incorrect and probably ineffective, the core fixative would leave a scar on the bark. When all is ready the splintered trunk is lowered onto the splinters of the stump. This, one might say, is only the skeleton of the resurrection. Now the chips must be gathered, and the sawdust, and returned to their former positions. The fixative for the wood layers will be applied to chips and sawdust consisting only of wood. Chips and sawdust consisting of several substances will receive applications of the correct adhesives. It is as well, where possible, to shelter the materials from the elements while working. Weathering makes it harder to identify the smaller fragments. Bark sawdust in particular the earth lays claim to very quickly. You must find our own way of coping with these problems. There is a certain beauty, you will notice at moments, in the patterns of the chips as they are fitted back into place. You will wonder to what extent it should be described as natural, to what extent man-made. It will lead you on to speculations about the parentage of beauty itself, to which you will return. The adhesive for the chips is translucent, and not so rigid as that for splinters. That for the bark and its subcutaneous layers if transparent and runs into the fibers on either side, partially dissolving them into each other. It does not set the sap flowing again but it does pay a kind of tribute to the preoccupations of the ancient thoroughfares. You could not roll an egg over the joints but some of the mine-shafts would still be passable, no doubt for the first exploring insect who raises its head in the tight echoless passages. The day comes when it is all restored, even to the moss (now dead) over the wound. You will sleep badly, thinking of the removal of the scaffolding that must begin the next morning. How you will hope for sun and a still day! The removal of the scaffolding or tackle is not a dangerous, perhaps, to the surroundings, as its installation, but it presents problems. It should be taken from the spot piece by piece as it is detached, and stored at a distance. You have come to accept it there, around the tree. The sky begins to look naked as the chains and struts one by one vacate their positions. Finally the moment arrives when the last sustaining piece is removed and the tree stands again on its own. It is as though its weight for a moment stood on your heart. You listen for a thud of settlement, a warning creak deep in the intricate joinery. You cannot believe it will hold. How like something dreamed it is, standing there all by itself. How long will it stand there now? The first breeze that touches its dead leaves all seems to flow into your mouth. You are afraid the motion of the clouds will be enough to push to over. What more can you do? What more can you do? But there is nothing more you can do. ‘Unchopping a Tree’ first appeared in ‘The Miner’s Pale Children,’ published in 1970. I haven’t been on Facebook long & have found it to be a place where nice things happen as well as good connections & the occasional surprise. Recently a Facebook friend sent me a poem & a photo of a tree that she had kept since she was a child. I was surprised that she would give these to me as they obviously have had great meaning for her. I find it lovely that a child can connect so strongly to trees that they keep something like this in their possession well into adulthood. Maybe it is a girl thing because I also had a poem I found in one of my mother’s magazines that I found quite profound & kept for many years. 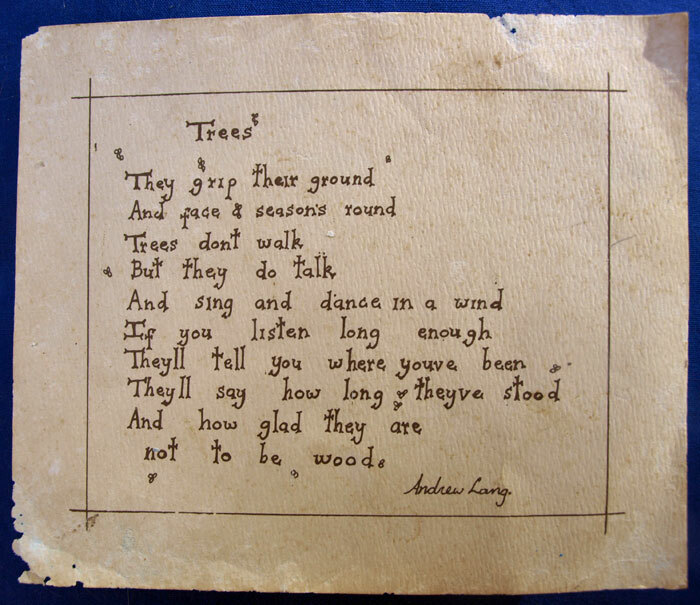 The poem is called ‘Trees’ & was written by Andrew Lang. Not having heard of him I did a Google search & found that he was a poet & novelist, journalist, literary critic, historian & Anthropologist writing for both children & adults. Andrew Lang was born in March 1844 in Selkirk Scotland & was the eldest of 8 children. He died in July 1912 aged 68. He was a prolific writer to say the least, writing predominantly on folklore, religion & mythology. He also translated fairy tales from other languages into English. Once I read through the list of his books I saw that I had read more than one of his works. Many of his books are so famous that probably most people have come across his writing. It would be no good for the poem & photo to find its way into a drawer at my home so I am sharing them with you. Think of the little girl who was so moved about trees that she kept it, probably reading it tens of times over the years. An adult now, she still loves trees, which is why our paths have crossed. I photographed the poem so I could post it here. The photo is also old & slightly faded. What a majestic tree it is.